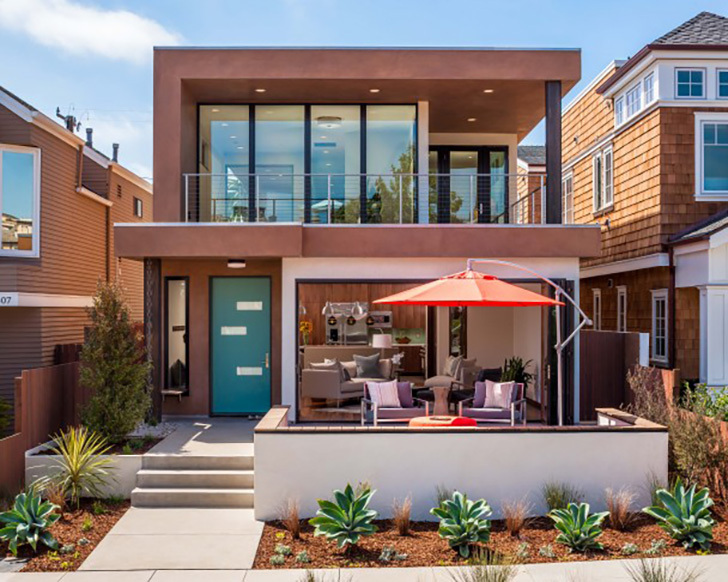 The September issue of Coast Magazine takes us inside a sustainable Corona del Mar home featuring our collection of modern American-made furniture. 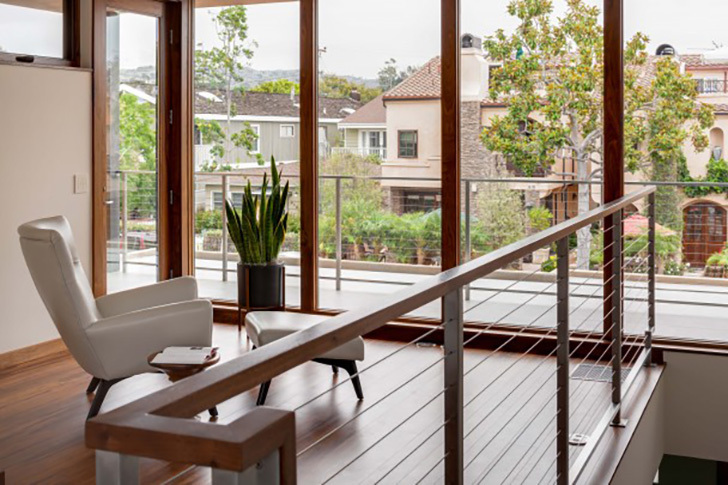 The four-bedroom, 2,770-square-foot abode has the environment in mind. It is expected to earn LEED Platinum certification, the highest available rating from the U.S. Green Building Council. 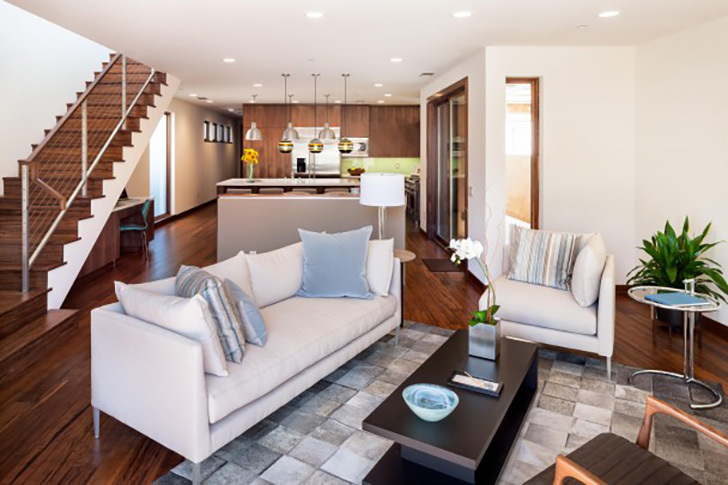 The home’s open floor plan and endless windows create an environment of bright, natural light, which mirrors the Southern California landscape. Interior Designer Rachel Hulan of Hulan Design collaborated with Design Associates at Room & Board South Coast Plaza to select furnishings with organic materials and sculptural shapes to complement the space. Living room featuring our Vela sofa, Graham coffee table, Pure Linea rug and Callan chair. 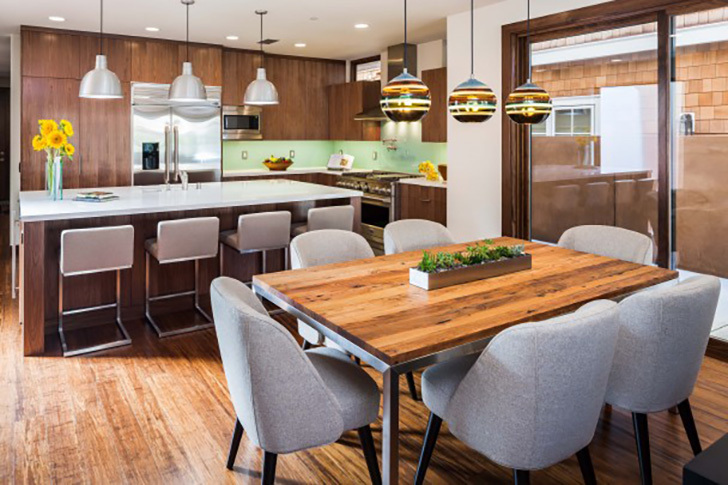 Kitchen space featuring our Portica table, Cora chairs, Lira stools and Hennepin Made pendants. Outdoor overlook featuring our Boden chair and ottoman. 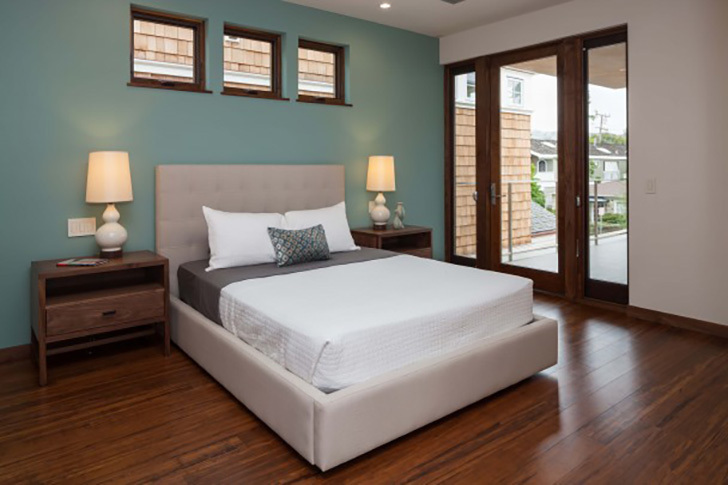 Bedroom featuring our Avery bed, Berkeley end tables, and KleinReid lamps. Read more about the project and our collaboration here.